This little book is called Everyday Children (1924) and is by Lucy W. Peabody of the Central Committee on the United Study of Foreign Missions. It has a picture of twenty different kids or groups and a one page vignette for each along with an essay. It's written to show kids about kids in other lands. 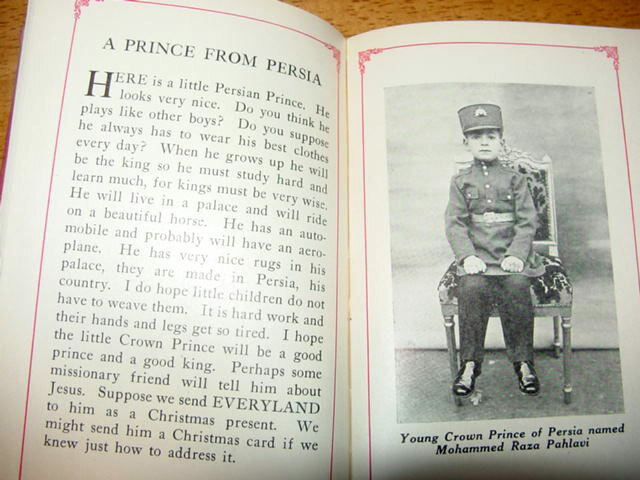 Most of the kids appear to be average folk in their countries, but one is of the young crown price Mohammed Raza Pahlavi.